You may have read my post about our stay on Sal Island in Cape Verde last November which you can read here. When I mention Cape Verde to people I usually get comments of either "I've been thinking of a trip there" Or "Where is it?" Cape Verde is made up of 10 little islands in the Atlantic Ocean, 500 kilometres off the coast of Senegal. Cape Verde is getting all the more popular now as a holiday destination. Before going to Cape Verde I was a little bit unsure of what it would be like to go with a child however we had no need to worry. Yes the plane journey it's self was long ( 6 hours) and Blake did have a few little melt downs when he was over tired or bored. However our trip to Cape Verde was more than worth it. The hotel we stayed at had a wide selection of food and so if you are lucky enough that your child likes things such as chips, pizza, pasta etc than your child will be easy to feed. Failing that if your child is anything like Blake than they will live off crackers and biscuits for the whole holiday. Tap water isn't safe to drink. The hotel we stayed at had bottle water which we constantly got from the bar when needed for all 3 of us. It's safe to have ice as the hotel uses bottle water. There are a few supermarkets in Cape Verde however if you need anything specific its worth making sure you have them with you. We are so glad that we packed essentials such as wipes and nappies for Blake. Like most holidays make sure you use sun cream we made sure we used factor 50 and applied it regularly as its very much needed. Make sure your not fooled by the wind as you can still get burnt. No stress is the motto of the island and we definitely felt is was a place to really relax. There are a few trips not suitable to take children on however we managed to do a few things such as a trip of the whole island and a candle light BBQ on a private beach with entertainment. Even though there are few things to get up to on the island of Sal we did find that we spent most of our time swimming in one of the hotel pools (ours had 3). 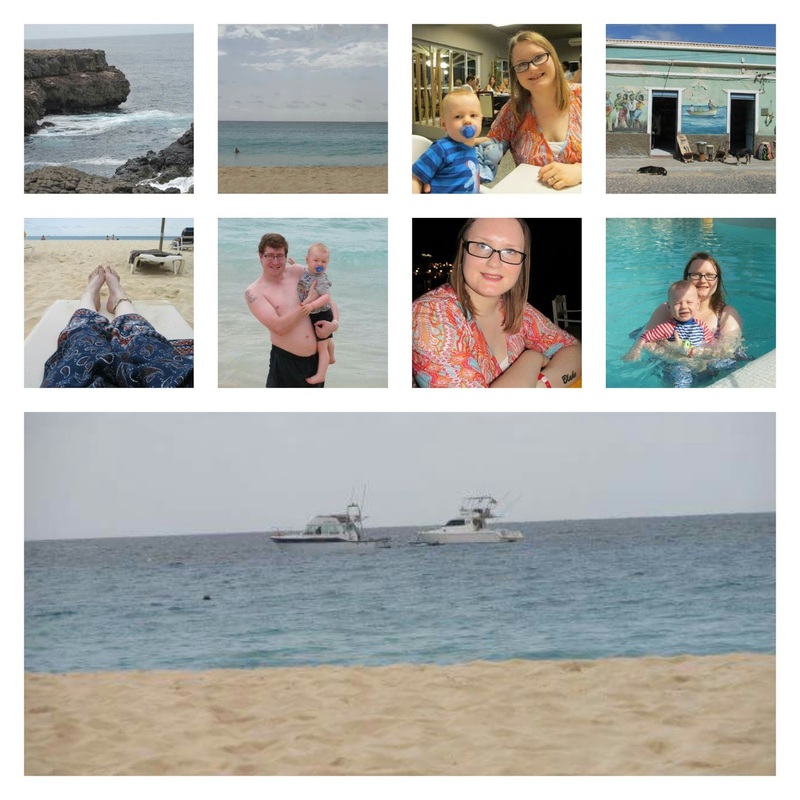 We would definitely love to visit Cape Verde again in the future and would consider going back to the same island although Boa Vista also is tempting to us. If we get a chance to go again in the future we love the idea of renting out a villa in Cape Verde.We love the idea as they are affordable and near to beaches which is a plus for us. I love the idea of villa holidays as they are different from any holiday that we have done before. Clickstay have over 15,000 holiday homes in over 50 countries so you are bound to find one that is suitable for you in a place you have dreamed of visiting. Have you ever thought of going to Cape Verde? If not have I tempted you at all? Or maybe you have been already? I must admit I would never drink the tap water abroad - I think it's something I must have been taught as a child! Great tips, I have never heard of this place before! I've never been. The farthest we traveled with the two kids was Spain which is 4 hours. Brilliant tips. I don't think I knew where Cape Verde was haha! Thanks for these information. Cape Verde is on my destination list. So many place where I want to go.